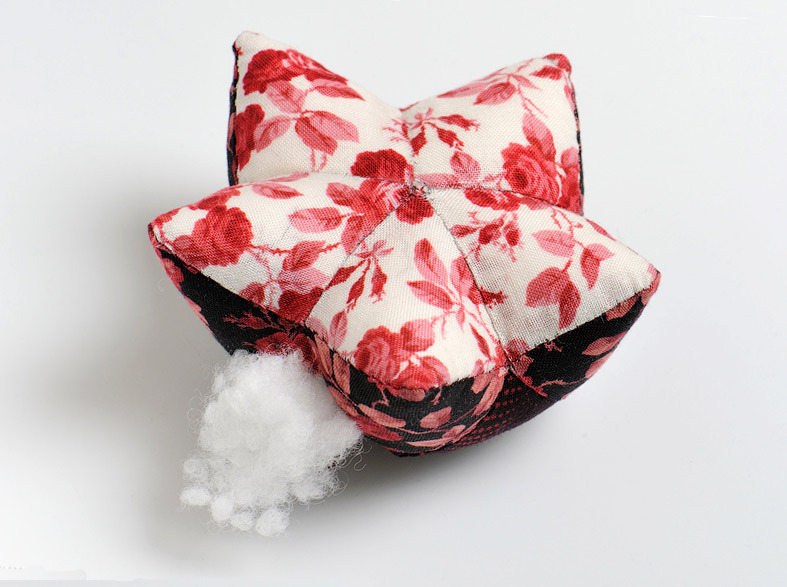 This is one of the most popular models of pincushion. 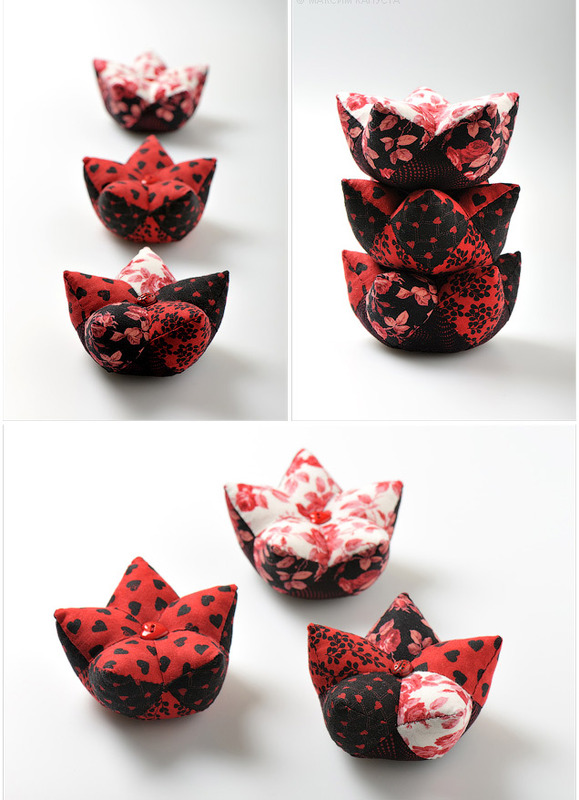 Such pincushion is sewn manually. 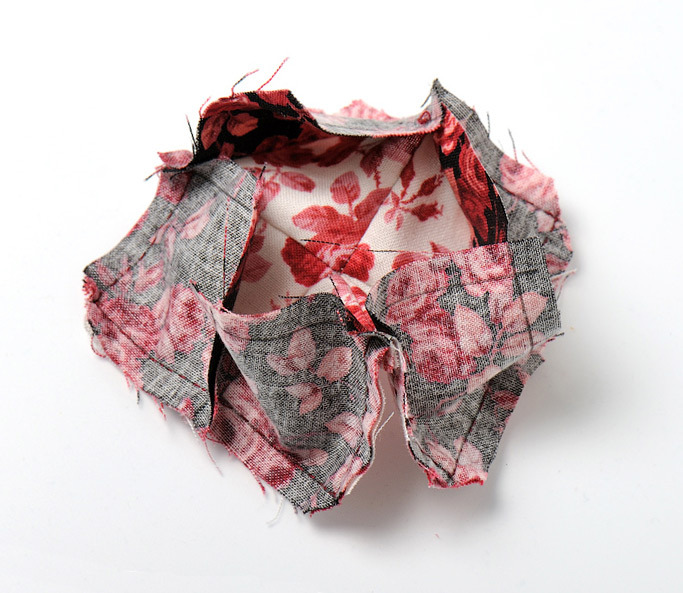 Prerequisite: all seams end exclusively at the point of intersection of seam allowances. 2. 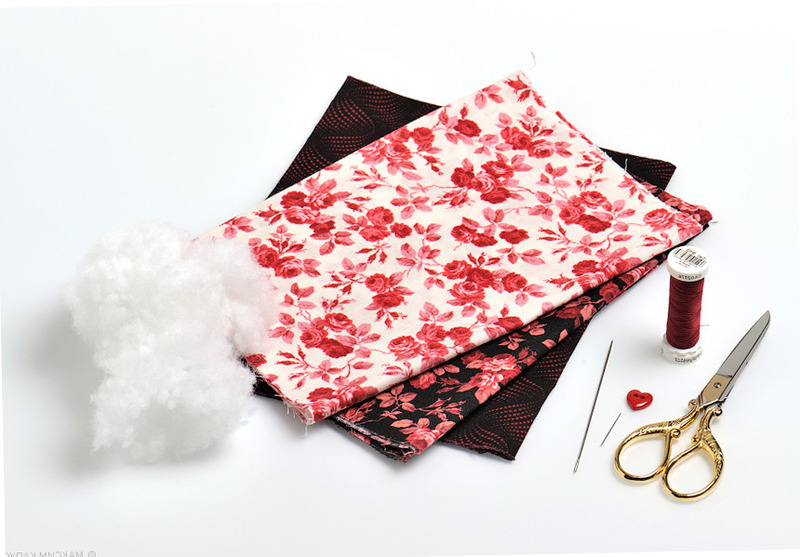 You will need: cotton fabrics of three suitable colors, matching threads, padding for pillows, a large needle for toys, a beautiful button. If you look closely at the pincushion, you will notice that it consists of the top and bottom. And also has a middle part, which connects the first two. In this case: the upper part is a light fabric in the rosettes, the lower part is the black fabric in the dots, the middle part is the black fabric in the rosettes. 3. 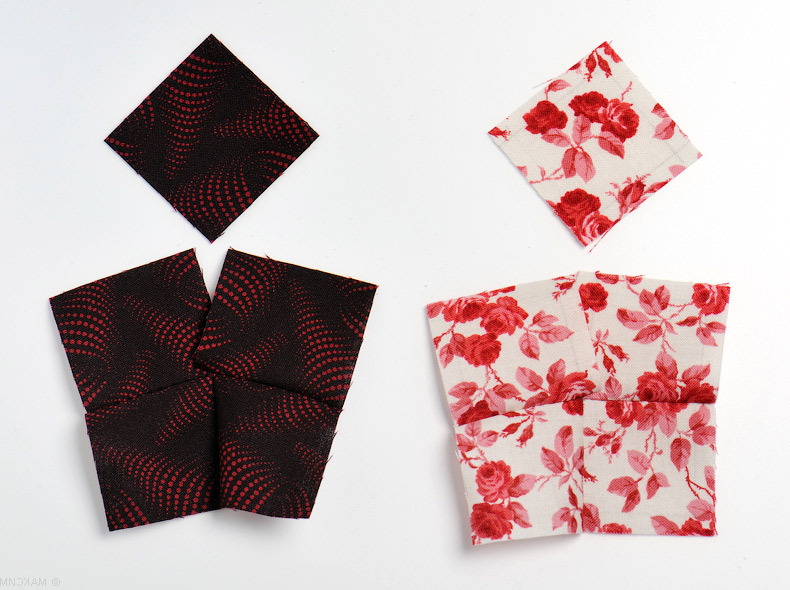 From each fabric, carve out five squares with a side of 5 cm. 4. 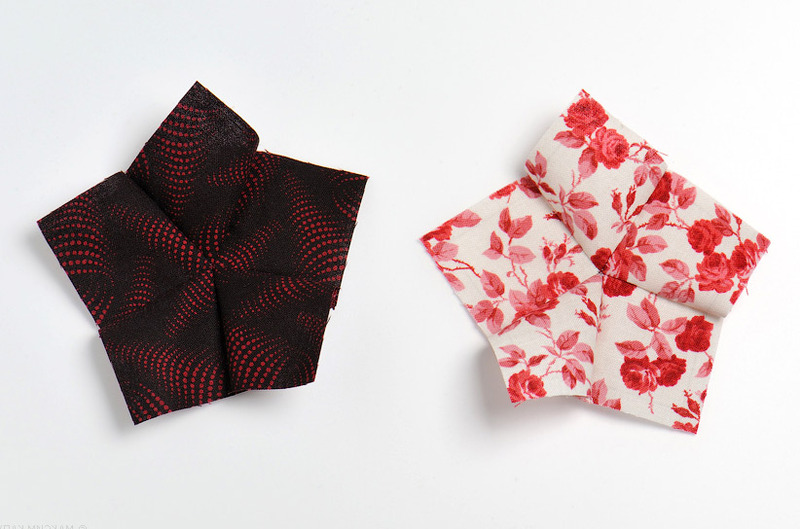 At this stage, you should already know exactly how you arrange your fabrics: which one up and which one down. 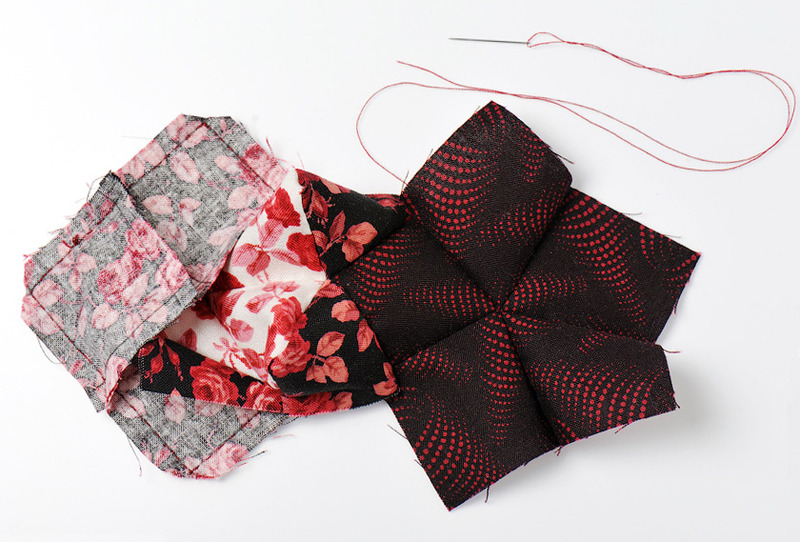 Postpone until those five squares that do not belong to either the top or the bottom of the pincushion. 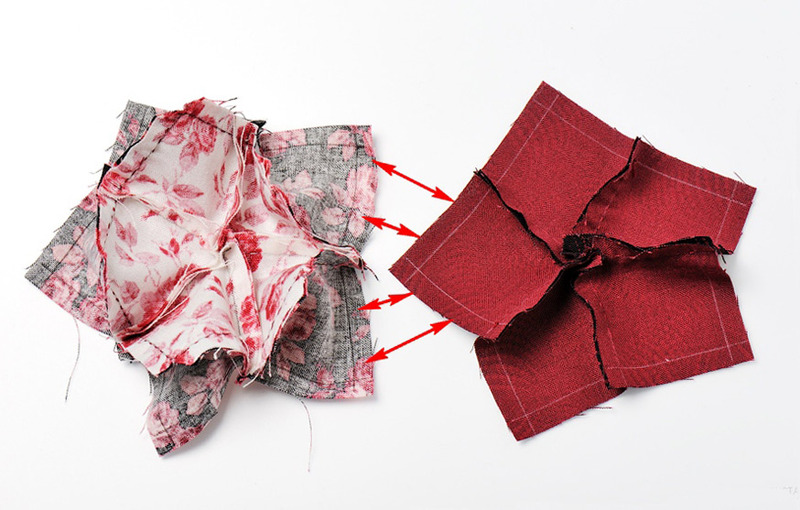 And those that remain, sew as follows: sew twice two squares of the same color. 5. 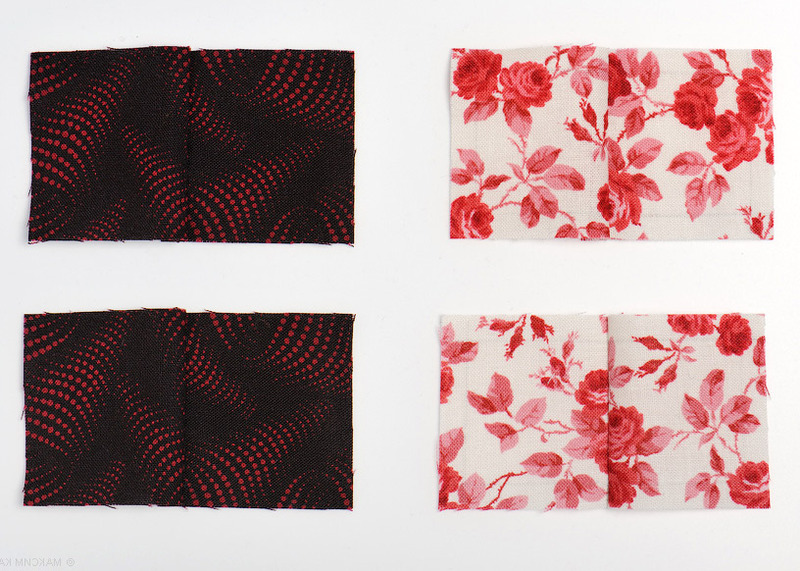 Sew each two pairs of the same color between each other, but only exactly half. In the sections thus obtained, sew along the fifth square. 6. So you should get it. This is the top and bottom of the pincushion. 7. Sew elements of the middle part to the top. This photo shows the beginning of sewing on the first square. 8. 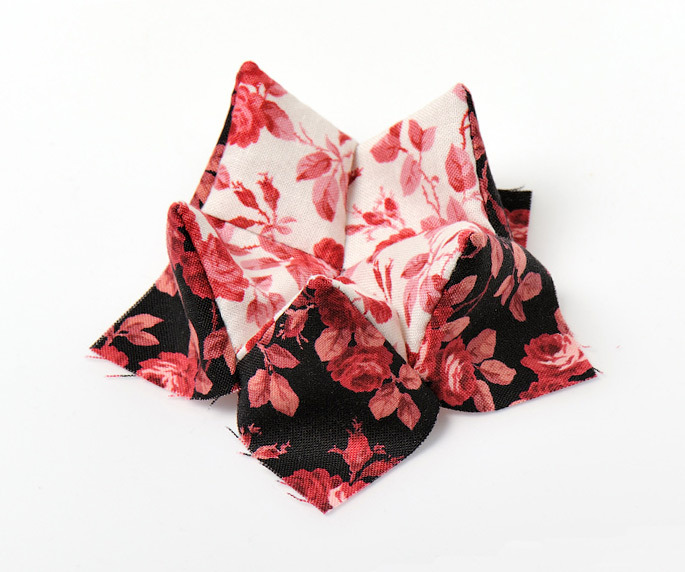 We continue to sew the first square. 9. 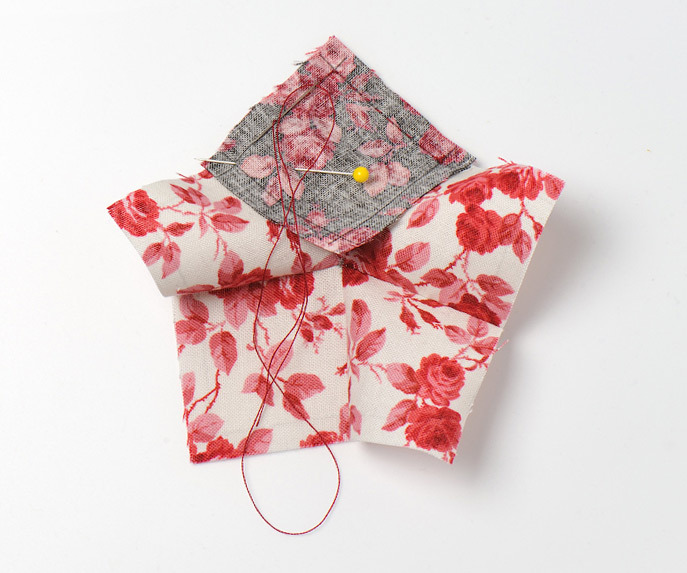 Without breaking the thread, we begin to sew in the same order and the second square. And so on. 10. All the squares of the middle part are sewn. 11. And this should look like from the front. 12. Connect the resulting part with the bottom. How to do this is shown by arrows. 13. And so it looks from the front. 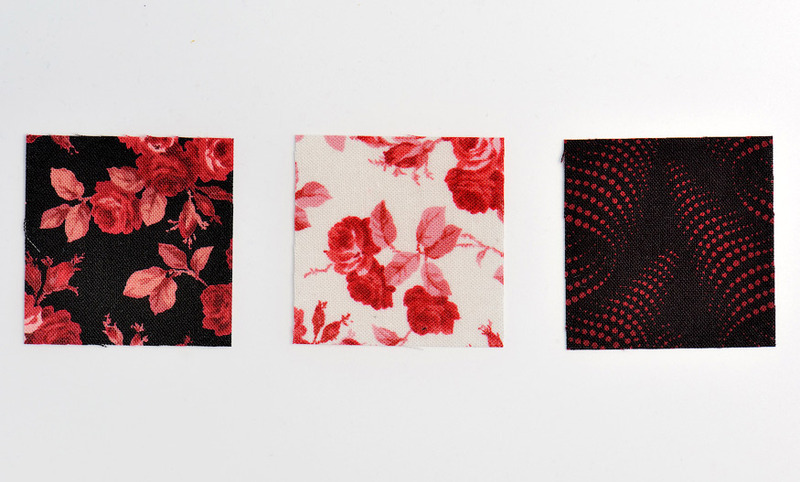 If everything worked out correctly, continue sewing further until only one square remains sewn. 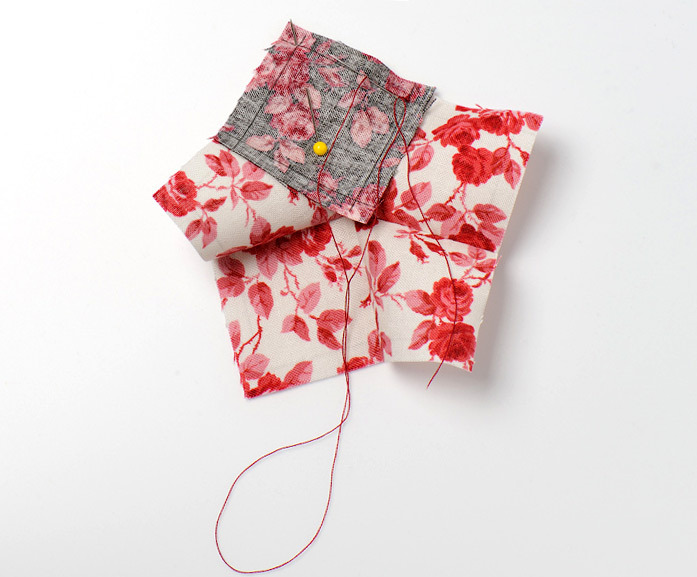 Turn the pincushion through it, not forgetting to cut corners. 14. 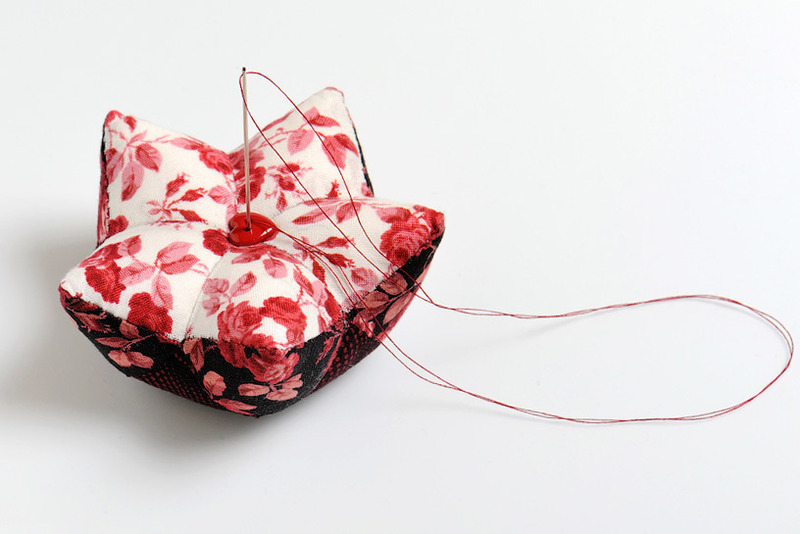 Fill the pincushion with a fairly tight filler and sew a hole with a secret seam. 15. 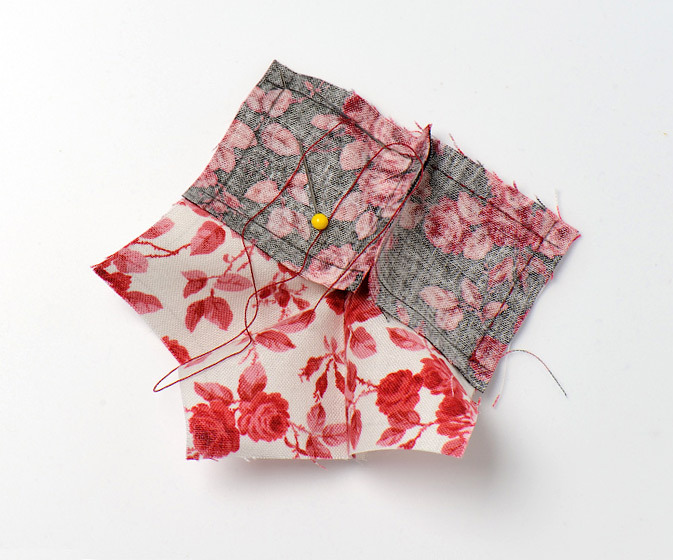 Sew a beautiful button with a large needle in the center, piercing the needle through the pincushion to pull off the central part, which will only make the form win. 16. 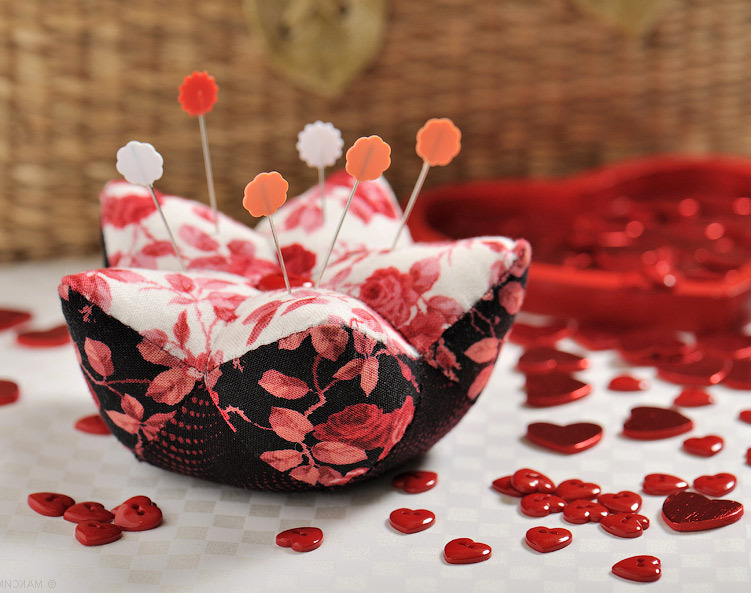 The pincushion can not only be used for its intended purpose, but also serve as an interior decoration.